We start by offering 2 types of standard sizes. 5x7 and 10x7 w/ score for easy folding down to 5x7. 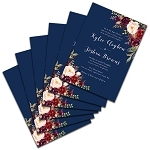 Our standard stock is either a thick 16pt uncoated card stock that holds the full color printing very nicely or a 105lb pearlized/metallic card stock that adds sophistication and elegance to any invitation. 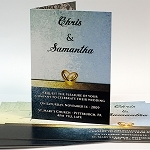 Another option is to have our 16pt card stock laminated with luxurious soft-touch lamination. 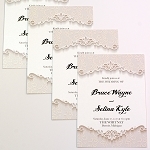 This adds an almost suede-like feel for the ultimate high end announcement / invitation. Our invitations can be ordered by themselves or with A-7 envelopes w/ full color printing in the return address area for an event logo or just more color and vibe for your party. Lastly, for those who may not have access to graphic design, we offer a handful of predesigned templates, for a small fee. We would just flow your text into the pre-done design and you're ready to go! 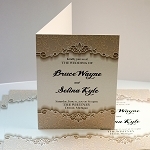 Standard production time, is 3-4 business days, however we do have a 1 business day rush option on all of our invitations except the soft-touch lamination invite. Proof review, should you choose one of our pre-designed templates, is usually 1 business day. Production time starts after your order placement or proof approval (for pre-designed template usage). 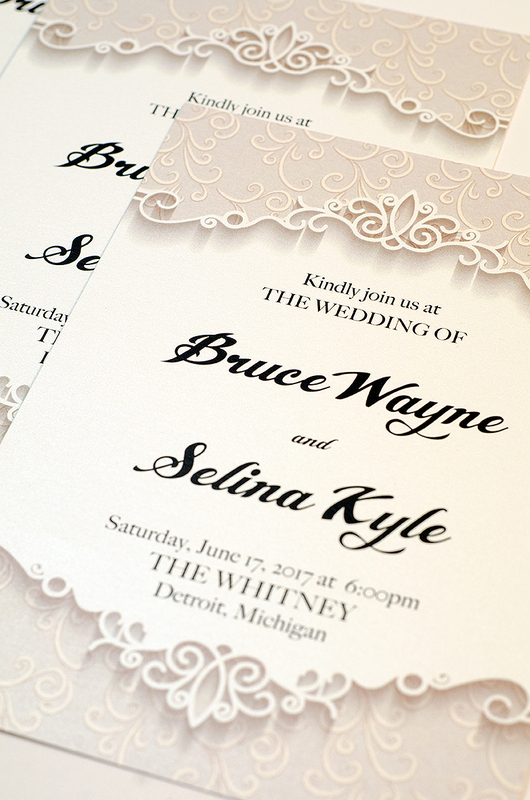 See why Metro Detroit is using Discount Printing Detroit to print their invitations and announcements. Quality, speed and great pricing.